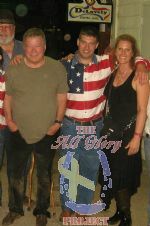 PATH Intl has recognized BraveHearts rider Ryan Ohrmundt with the 2011 National Horses for Heroes Award. Th e award is given annually to outstanding representatives of the Horses for Heroes Community. Congratulations, Ryan! To view video of Ryan discussing his experiences of relief and newfound strength in the Horse For Heoroes program, click on the video below. Ryan was a Guest of Honor at the PATH Intl. Awards Banquet held at the 2011 PATH Intl. 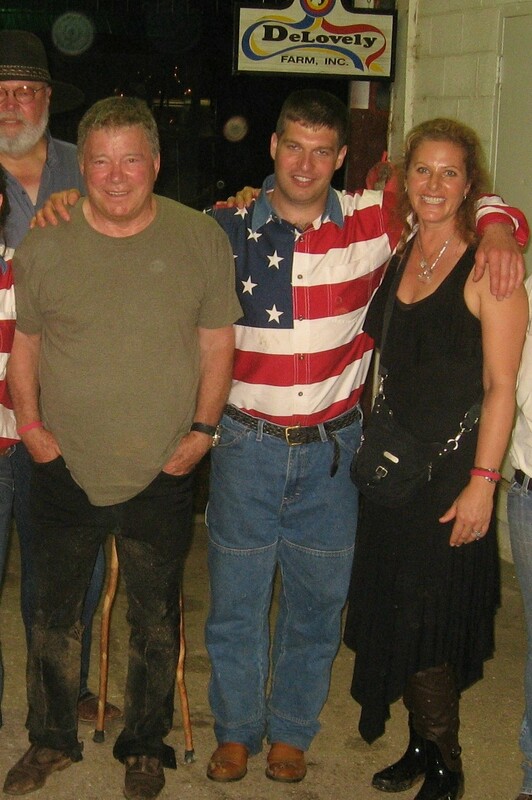 Conference and Annual Meeting on Nov 11th, 2011 in Lexington, KY.
Pictured at right are William Shatner, Ryan Ohrmundt & Elizabeth Shatner at the Lexington Junior League Charity Horse Show.